Calling a plumbing contractor to clean up your blocked toilet is just one of the most convenient ways to solve the issue. Sadly most of the professional plumbers ask for up-wards of 100 dollars for the task. It might be rather unpleasant to spend that much of money in this time of economic crisis and job reduction. However, the good news is there are some unique ways you can unclog that toilet yourself without having to call in an expensive plumber. Yet another simple, yet effective device that helps in unclogging toilets is the wire. This extensively available item can be utilized to get to inside the bowl and delete items like plastic bags, etc. that cannot flush down the drain. You do not need to purchase a wire from the market. Simply take any commonly utilized product like a hangar and straighten it to make a wire. A pliable rubber pipeline can be an excellent substitute for a wire and can easily be made use of to clean a clogged pipe line. If the boiling water alone is inadequate, perhaps a pot of steaming water and detergent should work. Pour about a 1/4 cup of your preferred green cleaning agent, and let it to lube the lodged object while you wait for the water to boil. Pour in the boiling water making certain not to spray on yourself and hope that it will work … or else you might need to get a little messy. Adding a cup of baking soda as well as white vinegar and pouring down a sink drain has actually been known to unplug it, and could manage a toilet. This is of the toilet is not so loaded with water that the mix will end up too diluted when added in the bowl. If this is the case, then move right to the steaming water and dish detergent technique. Giving your toilet a little tap is something you want to attempt first. It is fast and straightforward and all that is required is your shoe or your plunger’s wood handle. You will notice on the edge of your toilet, where you sit, and locate the bulge behind it that looks like a snake. This is the area you will want to tap with a soft object that is softer than the porcelain to ensure you do not break it. Your shoe’s rubber sole can be sufficient but if not utilize the plastic or wood handle of your plunger and begin tapping lightly on this snake bulge on the toilet. You will be impressed. If it does not function initially continue while utilizing the above steps as well and you should probably get it to work. 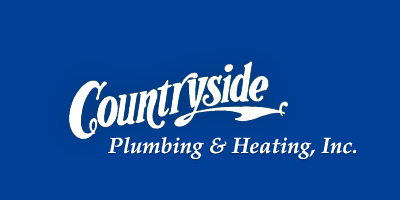 Countryside Plumbing & Heating, Inc. Copyright 2017 | All Rights Reserved. | Countryside Plumbing & Heating, Inc.